We always welcome suggestions and feedback from our customers. 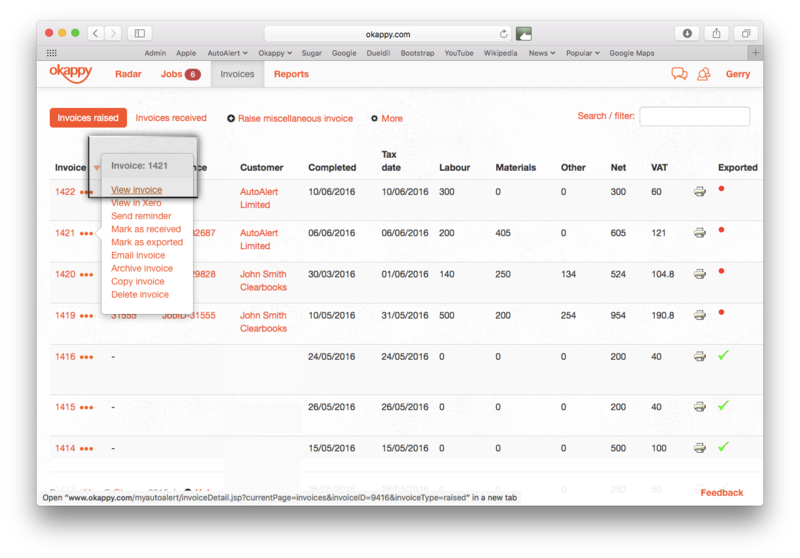 So thanks to Phil from RPS, you can now add attachments like quotes, images or purchase orders to invoices raised through Okappy. 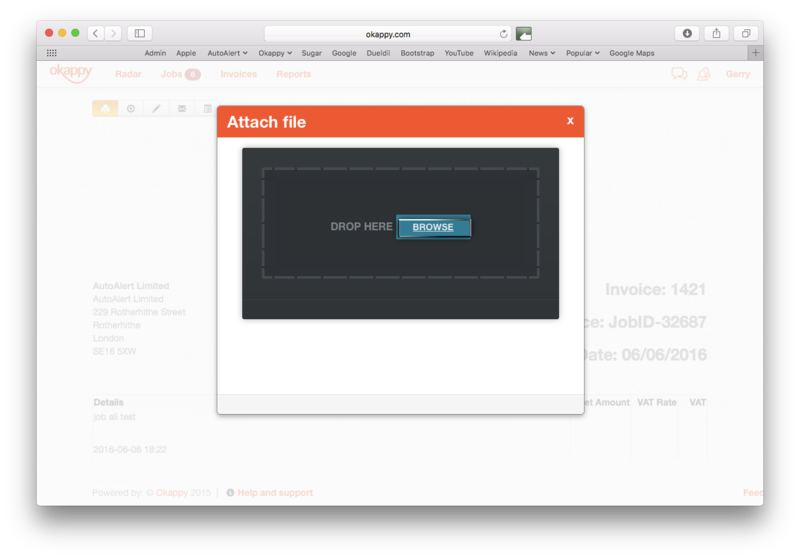 With Okappy you can keep all the information related to your jobs in one place. You can now do the same for your invoices. Below is a quick guide showing you how to attach documents to your invoices. 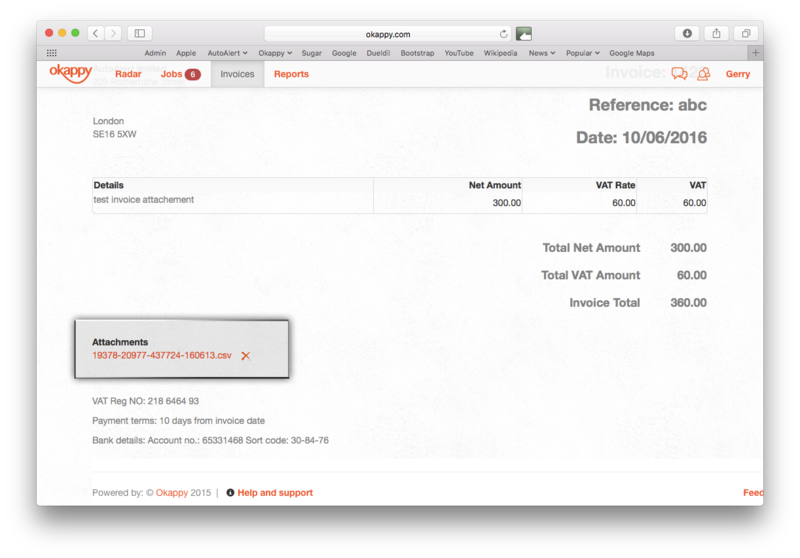 Go to the Invoices tab and click on the invoice you would like to add the attachment to. 2. Click the upload icon ( ) to add your attachment. 3. Click on Browse to select the file you want to attach then click Done. 4. Your file is now attached to your invoice. You can delete the file by clicking on the red X next to the file name. You can email the invoice to your customer or, if your customer is connected to you, they can log in and view the invoice as well as the attachment straight away. Find out more about how to email invoices to your customers here or check out the rest of our features here.